Batsman Jatinder Singh was eventually declared out, correctly, if one looks at law 28 of Marylebone Cricket Club's Laws of Cricket. Bizarre things have happened in a cricket field, but it would take some doing to beat what transpired during a match in Australia on Saturday. In a Mid Year Cricket Association match, featuring Moonee Valley and Strathmore Heights, the former team's batsman Jatinder Singh's middle stump was uprooted, which means he has to leave the field, right? No, it is not as simple as it sounds. Though the middle was stump lying on the ground, the bails stood in their place. Yes, you heard it right. Such a bizarre incident led to confusion. No one had ever seen such a thing in cricket. How can the bails remain in their place when the middle stump has been dislodged? It is something, which could be explained by some physicists, probably. After all the confusion surrounding the decision, Jatinder was declared out. The umpire seems to have made the right decision as well. As per the cricket rule book of the MCC, law 28 states that "The wicket is put down if a bail is completely removed from the top of the stumps, or a stump is struck out of the ground." 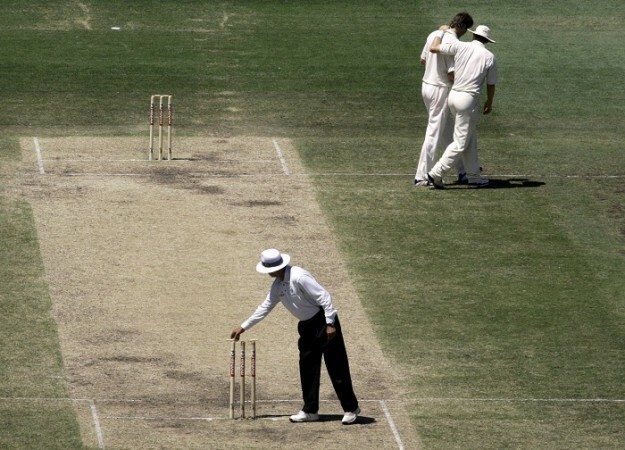 One needs to applaud the umpire for his decision and Moonee Valley captain Michael Ozbun explained as to what really transpired on the field when the bails held their place. "Nobody had seen anything like that before. I was on the boundary, I saw the stumps fly and thought 'all right, he got bowled, it was a silly shot'. Then everybody was standing around the wickets and I didn't know why. I went out there, saw what was going on and it was very confusing," Hearld Sun quoted Ozbun as saying. Ozbun tried his best to explain as how the bails were not dislodged. "We weren't sure if maybe (the stumps) were put at a slight angle so there was just a little bit of pressure. When they were sitting on the stumps, they were in the grooves. It wasn't like the middle of the bails were above the stumps or anything. The ball had to have hit at the exact right point that the stump didn't fly up, it went down."